Experienced, family-trusted butchers providing your family the freshest sliced meats in town. Before markets became "super" and before you could buy your bread and milk in the same place as where can buy t-shirts and TVs, people depended on their friendly neighborhood butcher. Trust was crucial- trust that the meat was fresh, trust that you're receiving high quality meat, and trust the expertise and advice of the butcher. Those same butchers are still here today, some serving over 15 years at Rubino's and we still love to hear how you prepare dinners for your family. 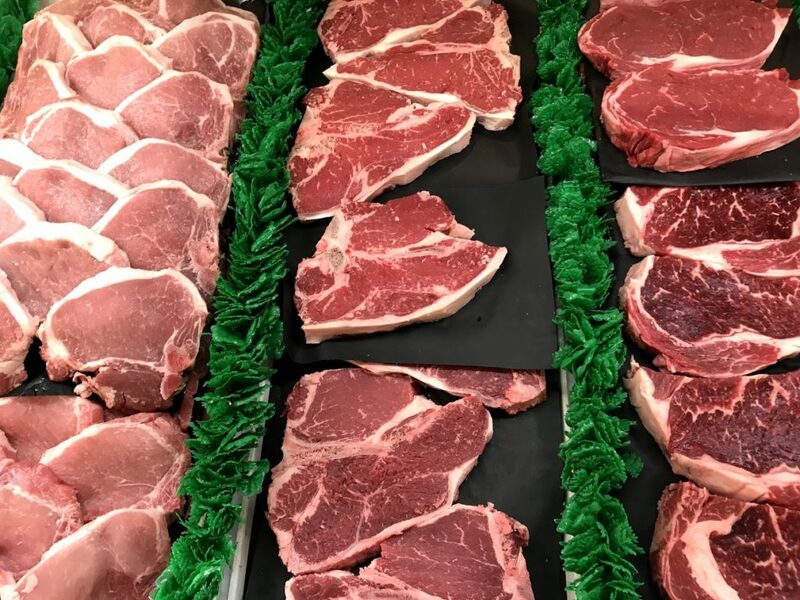 Whether your visiting Rubino's for our fresh, made to order ground beef, a 2" porterhouse steak, or our signature sausage and sausage patties, know that each purchase you make is made with only the finest ingredients. Unlike most "super" markets, our sausage is all natural with no additives and no preservatives. Pork + spices = sausage. Thats how Peter Rubino started the business, and thats how we continue his business. A true lover of food wants nothing but the best for themselves and their family. 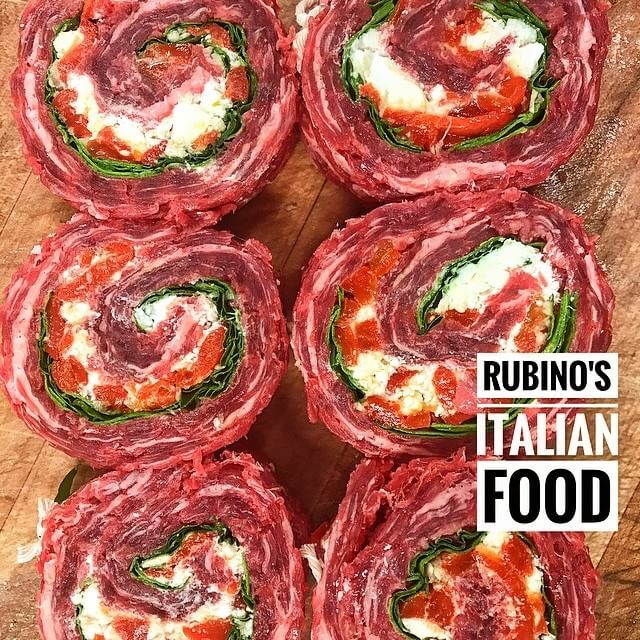 So trust, the Rubino way and experience the difference at Rubino's Italian Foods. 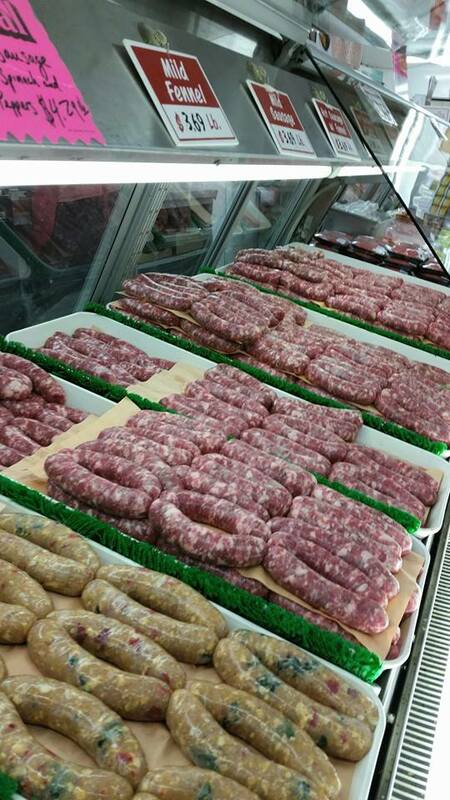 Rubino's homemade Italian sausage is made fresh daily with over 14 varieties to choose from! Call ahead to ensure we have your favorite sausage in stock! Selection may vary. *Want sausage done your way? No problem. Order at least 5 lbs (20 links) or more, and Rubino's will proudly make your sausage! 24 hours notice required, price may vary. Don't Forget, we will cut all Whole New York Strips, Prime Ribs and much more free of charge! Just ask! Rubino's now has NEW ready to cook meals that come in microwavable safe containers. These come prepared and ready to be put in the oven.